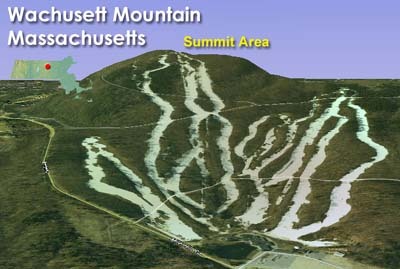 The second and perhaps most dramatic phase of the major expansion at Wachusett was rolled out for the 1983-84 season. 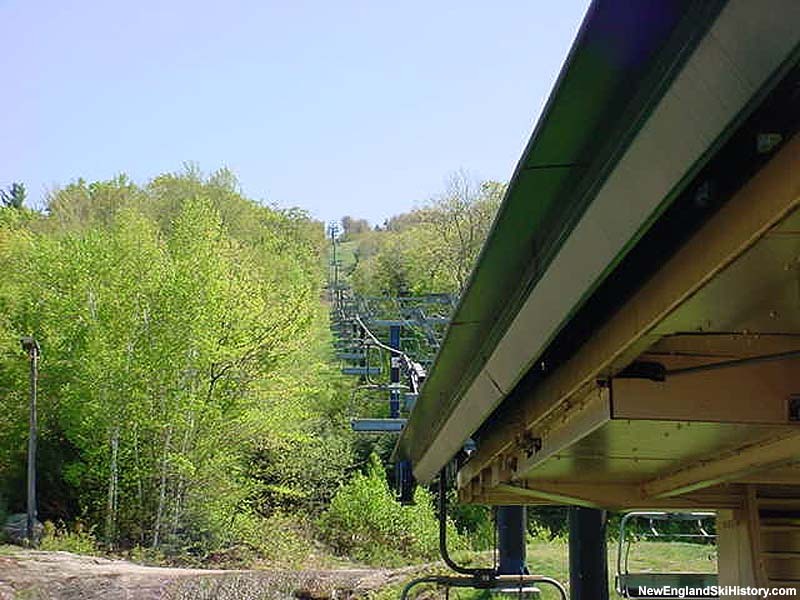 After operating for over two decades as a small to mid-sized surface lift area, Wachusett built the first phase, a two chairlift expansion in 1982-83. 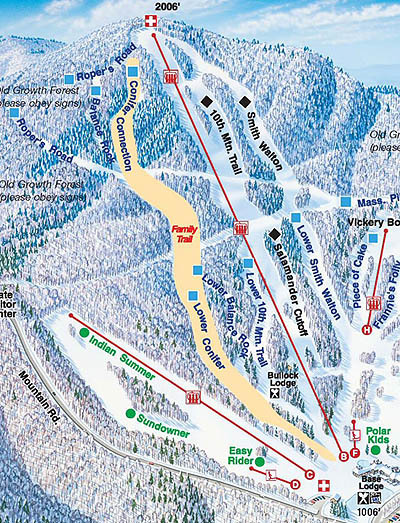 The second phase, for 1983-84, involved growing the ski area by over 400 vertical feet with a new double chairlift. 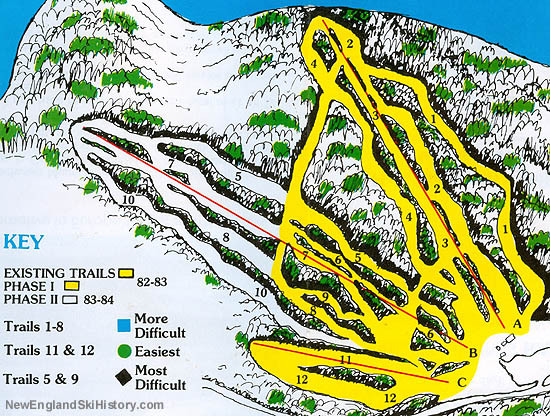 In addition to providing lift service to the historic Balance Rock Trail, the expansion also opened additional intermediate and expert terrain. 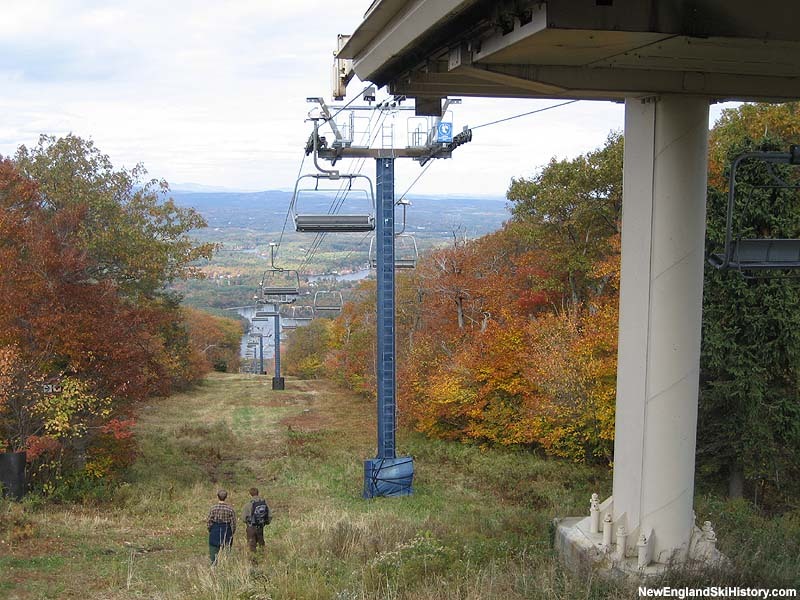 A new Doppelmayr double chairlift was installed, measuring 4,400 feet long by 950 feet vertical, and terminating just a bit below the summit of Wachusett Mountain. The lift was later upgraded to a triple. 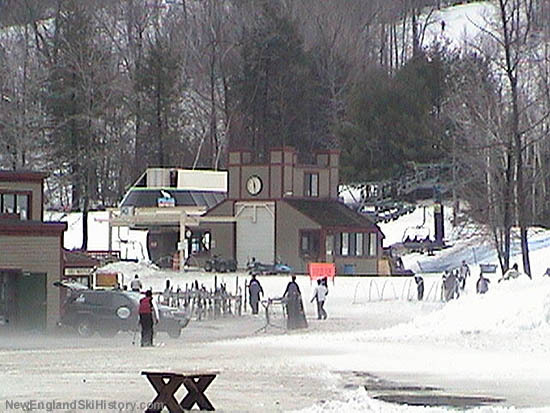 In 1994 the triple chairlift was replaced with a new high speed detachable quad. The first in Southern New England, the Polar Express measured in at 4,307 feet long by 944 feet vertical.